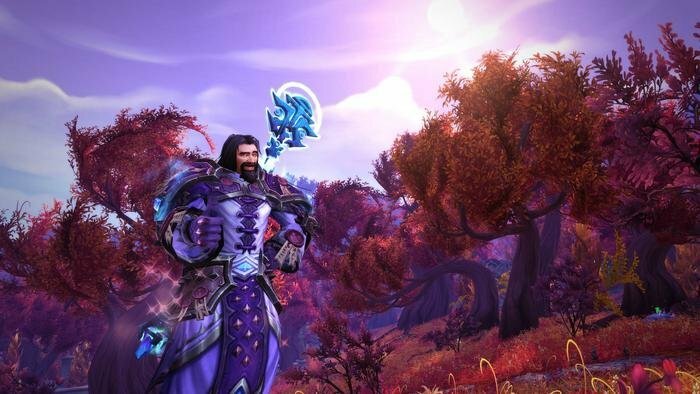 Game Director Ion "Watcher" Hazzikostas was answering player-submitted questions, dealing with a wide-variety of topics such as Legendary items, Artifact Power, 7.2 relics, Mythic raiding and more. Our round-up covers most of the discussed topics. Balance of Power appearances won't be account-wide. Effort requirements will be revisited. Hidden Artifact appearances have bad luck protection since 7.1.5. Artifact appearances aren't cannon, they're only cosmetics, so alt-friendliness isn't important. The goal is to offer progressing of your character providing choices during the process. The developers don't want AP to be the only reward you're looking out for. Repetitive farming of Mythic+ isn't fun, which is why a lot of AP rewards were removed from chests and redistributed elswhere. In addition to that the amount of AP gained from the weekly chest has been increased. Devs want to add diminishing returns to bring players to a point where there's no desire to farm AP any longer. They don't want the final 7.2 trait to feel mandatory. You won't be able to use items that grant AP that you got with Artifact Knowledge 25 or less to avoid grinding before 7.2. New catch-up tomes will be added (similar to those you can buy now). Game files contain a lot of placeholders, abandoned data or developer ideas. Their removal would cost time that is spent elsewhere for designing new things. The devs think there's a lot of grinding, but some issues should be addressed in 7.2 (chain running Maw was specifically mentioned). It wouldn't make sense making legendaries change based on your spec, as they have a fantasy behind them. Further bad luck protection improvements down the road for 7.2. The system will evaluate how many legendary items you acquired for a specific spec. If you don't have any for spec X, you'll have a higher chance to get one, even though you have more for spec Y.
Guilds benching players for bad legendaries based on sims aren't making a right choice. Crafted legendary items in 7.2 were introduced to keep professions relevant, not to address issues with Legendary items. They can be sold. Crafted legendaries aren't intended to be best Legendary items you can get, they provide a "solid middle ground" and don't count against bad luck protection. Changes to secondary stats were a success, but Unstable Arcanocrystal is an exception. The item won't be used that much when item level increases with Tomb raid in 7.2. In a few weeks, there will be a PvP Q/A with Holinka including an esports 2017 announcement. Order Hall research in 7.2 has two additional tiers and the 7th tier adds a secondary trait to relics. These relics narrow down the difference between best and worse relics and offer exciting relic rewards from a variety of bosses. The secondary trait will always be a throughput trait and different from the first one. Still in development, nothing's final and they will change before release. Legion Tier Sets went to 6/6 to allow equipping of Legendary items and the team thinks it's cool to have a cloak matching your set. No plans to make 2-piece bonuses from different Tier Sets exclusive, but if they find out it's the only option they will take a closer look at the issue. Players prefer trinkets with stats not active abilities. Trinket tuning for 7.2 is still in the works. What does it mean for the artifacts hidden appearance to have "bad luck protection"?